His father, himself renowned for his piety and learning, began his son’s religious instruction at a very young age. By the age of ten the Shaykh had memorised the entire Qur’an, and also completed the study of a number of books in various Islamic topics. 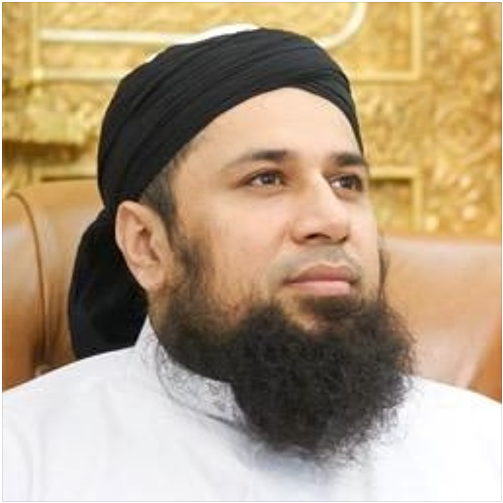 When he was thirteen he enrolled at Darul Uloom al Arabiyyah al Islamiyyah, Bury, UK, (the first and most prestigious Muslim seminary in the West) and graduated six years later, in early 1991. In Darul Uloom the Shaykh undertook an intensive study of many Islamic topics including Arabic, Qur’anic tafseer, hadeeth and fiqh under traditionally qualified scholars. His eminent and erudite teachers from whom he has ijazah in various Islamic sciences include Shaykh Yusuf Motala and the late Shaykh Islamul Haq. He also has ijazah in hadeeth from the late Mufti Mahmood Hasan Gangohi and the famous Muhaddith, Shaykh Yunus of Saharanpur, India. Until 2003 the Shaykh served as the honorary principal of Madinatul Uloom al Islamiyyah, Kidderminster, UK (a branch of Darul Uloom, Bury, UK) where he had also been head teacher since 1992. Since graduation he has selflessly devoted himself to the work of deen and remained actively involved in dawah and teaching. He has taught and commented on many classical Islamic works and has lectured extensively on a range of topics including Qur’anic tafseer, hadeeth, aqeedah and fiqh. He has also travelled widely teaching and lecturing in various countries in the Middle East, Africa, Europe and North America. Many of his inspirational sermons and lectures are recorded and are widely available. He has also authored two books, ‘The Salah of a Believer in the Qur’an and Sunnah’ and ‘The Causes of Disunity’. Shaykh’s extensive knowledge, command of both Arabic and English, together with his natural ability and eloquence in conveying the words of Allah سبحانه وتعالى and His Rasul صلى الله عليه وسلم moved the hearts of many and continue to do so.